2. 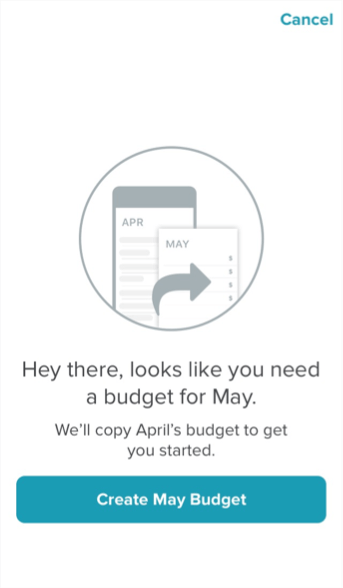 Set up next month’s budget from your phone. You need to budget every month before the month starts. Why? Because thinking ahead is how you get ahead in life and with money. With EveryDollar, it’s easy. You can set up your first budget in minutes. And when it comes time to create next month’s budget, just copy the previous month over. Then make sure you add in the unique spending coming your way (such as birthday celebrations, that country-western line-dancing class, school field trips, or holidays). You have to be talking to each other about your money. And there definitely needs to be some form of communication about the day-to-day spending. But a phone call, text or list at the end of every day detailing all the times you handed over cash or inserted your debit card would take up a lot of unnecessary brainpower for an awesome, multitasking, get-life-done person like yourself. So sharing that budget login means both of you are seeing where all the spending is happening. It’s not about being the budget police for your spouse and blowing the whistle every time you see they made a purchase. Sharing a budget helps increase easy communication between spouses—well, as long as you follow the next step. 4. 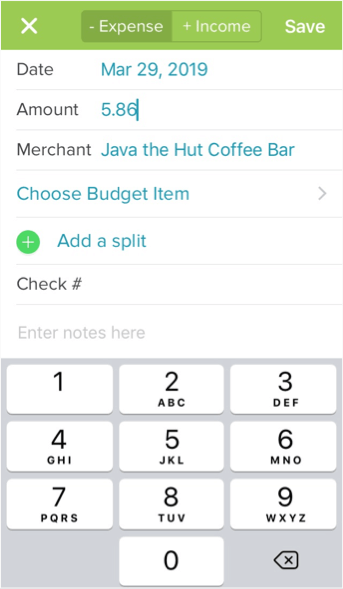 Enter transactions on the go. If you want to manage your money well, you need to keep up with your spending. That means typing your transactions into your EveryDollar app every day. Make it routine to drop receipts in a special spot on your countertop when you get home so you can enter them in as you wait for your spinach lasagna to bake. Or even better than that: Pull out your phone and track that transaction in your car before you even leave the parking lot. 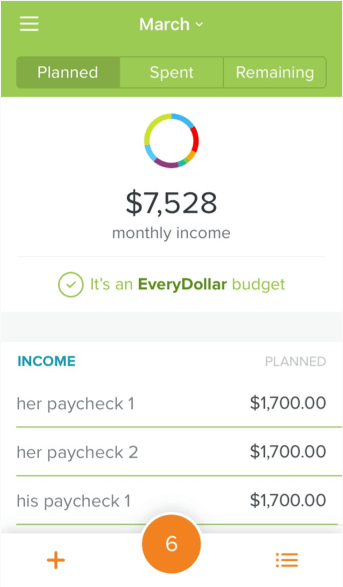 Take full advantage of EveryDollar’s awesome mobility. And though it takes a couple seconds in the moment, it’ll keep you from worrying over lost receipts in your wallet, grocery bag, or wherever else those things run off to when you really need them. 5. Check your budget from anywhere. The habit of overspending is often rooted in a lack of communication—with yourself. 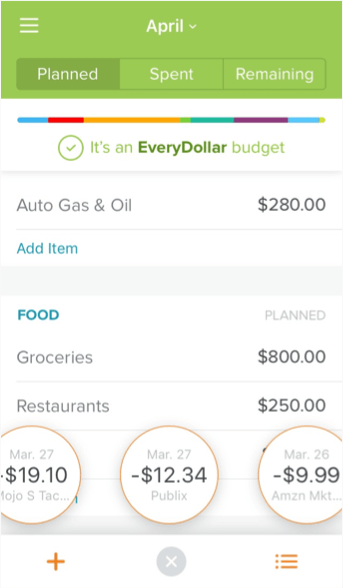 When you’re tracking your spending on the regular, you can open up your EveryDollar app and see your remaining amounts anytime, anywhere so you’ll know what’s left to spend in every category and every budget line. 6. Adjust your budget from anywhere. Your rearview mirror, attitude and budget. What do these things have in common? They all need adjusting from time to time. Yes, your budget is not a “set and forget” thing. You track. Things change. You adjust. When you overspend in one line, take money from another. When you underspend in one line, move that money over elsewhere. And it’s so easy with EveryDollar. You can just change the amount you planned to spend to what you actually spent. You’ll see the difference = pop up (either positive or negative dollar amounts), and you can move it where it’s needed. Bada bing bada boom. 1. Connect to your bank. Imagine all your accounts are in one place—right inside your budget. What a wonderful world. How do you make that happen? Upgrade to EveryDollar Plus. 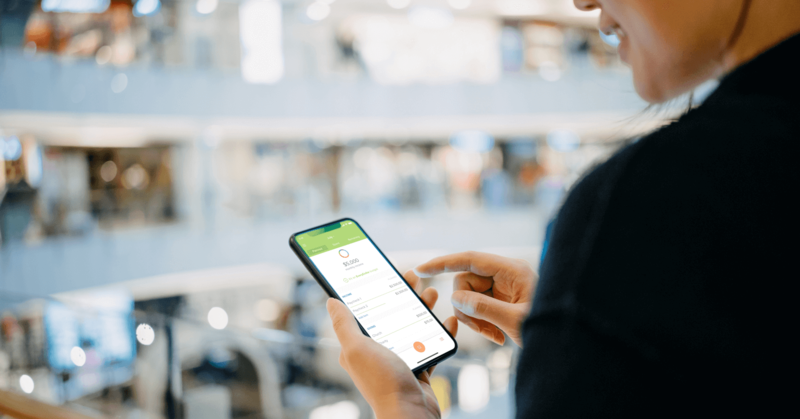 You can try it free for 15 days and see how much simpler it is to manage money on the go when all your bank accounts and your budget are in one happy app. 2. Track your spending with ease. Since the Plus version connects your bank to your EveryDollar app, transactions automatically stream into it. All you have to do is drag and drop them into their correct budget line. That’s right. You don’t have to remember the receipt when you pay for pizza or enter the expense when you buy books online or type in the total when you fill the gas tank in your truck. When there are transactions to track, you’ll see a lovely orange circle at the bottom of the app. Click that, and you’ll see all the incomes and expenses you need to put in their place. Did you know your EveryDollar Plus account can help you pay your bills on time? Yeah. You can add due dates to your expenses. Just click a line item in your budget, select “Due Date,” and follow the simple directions! Your brain is a precious resource. It’s already chock-full of gluten-free taco recipes, soccer schedules, the names of your fav podcasts, and so much more. Keep all that stuff fresh in your mind—and let us remember your bills’ due dates. If you want to see our app in action, check out this video. We really do make budgeting easier, because EveryDollar goes everywhere you go.